Konnos Bay is a peaceful area midway between Ayia Napa and Protaras. It is in the beautiful Cape Greco natural forest park with the stunning Konnos Bay beach at the foot of the bay. There are several villas in this area, ranging from 2 bedrooms up to 5 and 6 bedroomed luxury villas. 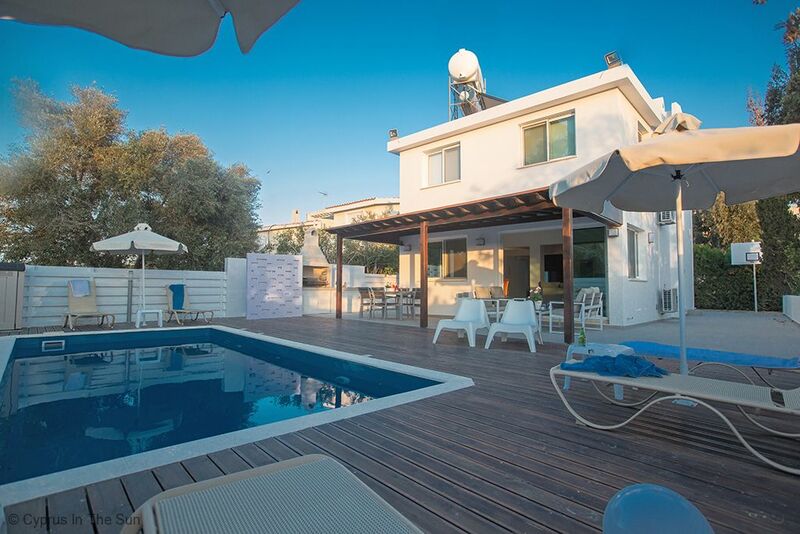 This area is a perfect place to stay if you want peace and tranquility and stunning sea views, yet have the buzzing night life of Ayia Napa's bars and clubs within easy reach. The local bus runs through Konnos Bay and there are couple of bars and restaurants in the immediate area.